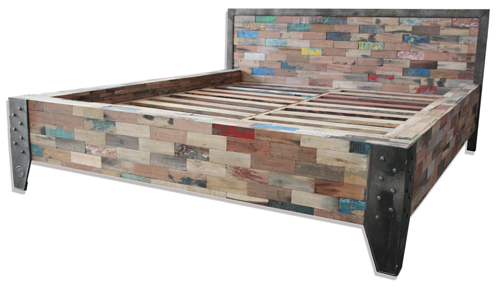 Industrial Style Bed made from Reclaimed Metal and Old Boat Timbers. This bed will make a Statement in your home. Shown in Standard Australian Queen Size, also can do in Australian King Size. Unique Forged Iron Legs give this Industrial Style bed real personality.